Here’s how you can easily download and get the iOS 11 calculator app on any of your Android smartphone or tablet device. Choosing between an iPhone and something that is powered by Google’s Android is sometimes a religious experience for some people, but thankfully for the vast majority of people, especially those of us who just love technology of all brands, it doesn’t have to be that way. That fact is also helped by developers who sometimes take the very best of Android or iOS and bring it over to the competing platform. When it comes to Android, the openness of the Google Play Store certainly helps there, and if you have taken a shining to the new iOS 11 Calculator app, then you are in for a good day indeed. 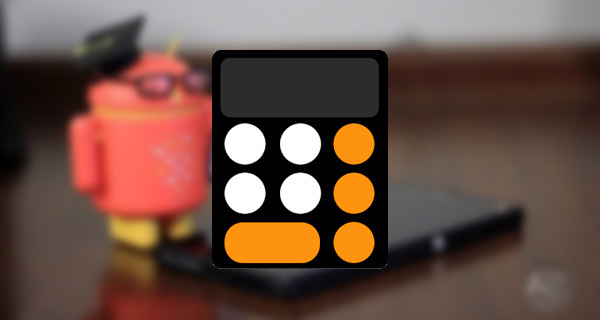 Available for download from the Play Store, OS11 Calculator is exactly what it sounds like. 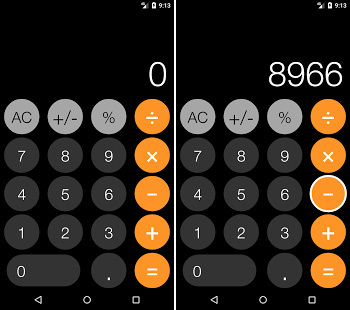 Once downloaded for the bargain-tastic sum of absolutely nothing, the app will give you a brand new calculator app experience that looks like the one which iPhone users can look forward to once iOS 11 rolls around in September. Functionally, it’s a calculator so there isn’t a great deal to say there. We all know what they are used for! While we are on the subject of apps that give Android the iOS look, don’t forget that we previously showed you how to make your Android apps open and close with the same animation that iOS 11 is using, giving everything a new feel even when doing the most mundane of tasks. If of course you want the look and feel of iOS 11 so much that you may consider jumping ship to the iPhone, we are told that there could be a pretty good one arriving in September. You may have heard about it, apparently there has been a bit of a buzz about it! why the hell would anyone want this trash? It doesn’t even look the same as an the iOS 10 Calculator. First of all it’s been totally redesigned since iOS 9 with large square buttons, secondly the fonts fort eh numbers are much nicer on iOS. This attempt looks like trash, even the symbols and numbers aren’t even vertically centered. 3rdly, when you rotate the iOS Calculator, you get all the scientific options; sin, cos, x root, Deg etc.